Dezeen Guide: things might be winding down towards the end of the year, but there are still design events opening in Istanbul, Rio de Janeiro and Seoul (pictured) this month. The second edition of the biennial is coordinated by British curator Zoë Ryan under the theme The Future Is Not What It Used To Be. Rio de Janeiro hosts five days of lectures, case studies and workshops in two of the city's design districts. Design, fashion and architecture are displayed and discussed at events around Seoul. Talks by architect Rem Koolhaas and fashion designer Olivier Theyskens. Designers from all disciplines work in 12 teams to devise possible futures for design over the course of six months. The results will be judged by a panel including Konstantin Grcic and Alice Rawsthorn, then presented at the opening of the city's fiftieth Biennial of Design. You can add Dezeen Guide events to your calendar so you never miss a thing. For more information or to submit an event for inclusion in the Dezeen Guide, please email hello@dezeenguide.com. 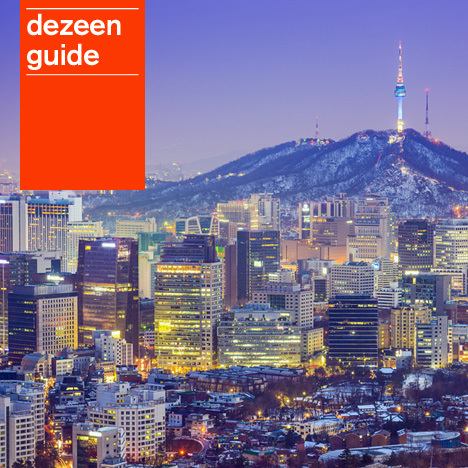 Dezeen Guide is on Twitter! Follow us here for the latest updates and to find out when new events are added. Image of Seoul is courtesy of Shutterstock.